This photo is titled Maneki Neko at SFO Terminal 2 and was taken by Flickr user mliu92. It was taken on May 6, 2018 and was published under the Creative Commons Attribution-ShareAlike license. 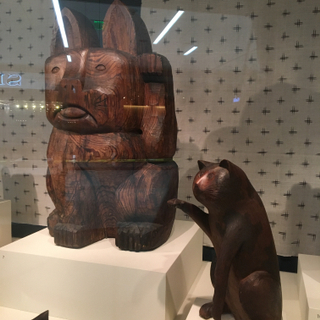 It is not part of the SFO Museum collection.